Near Columbus, Ohio, November 2005. 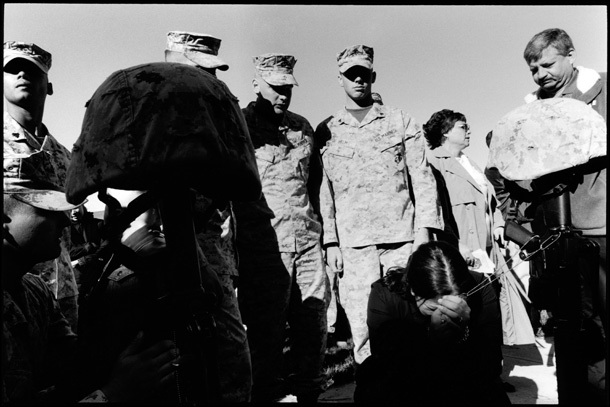 Lori Youngblood, whose husband Travis was a Marine killed in Iraq, August, 2005. 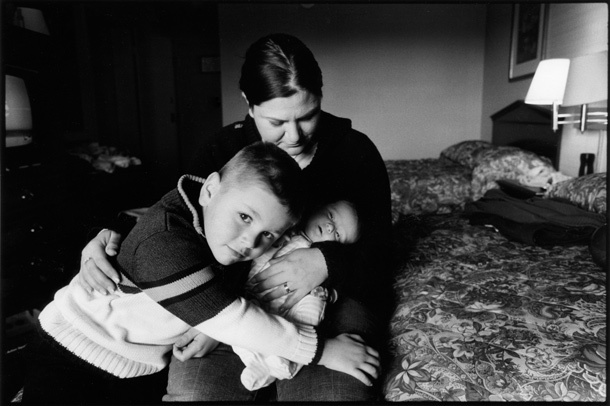 Photographed with her children, Hunter, 5, and Emma, born after her father died. Widow Lori Youngblood holds her husband Travis’ dog tag, at a memorial service.